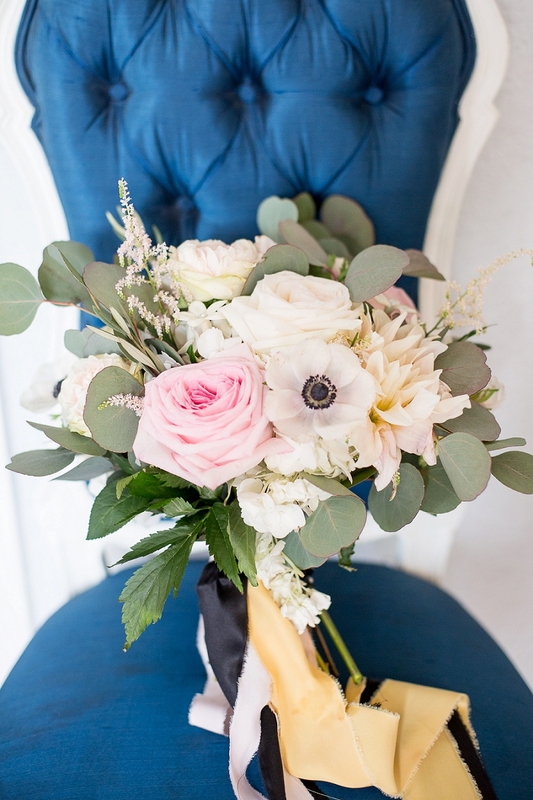 Since Ellen and Tim first tied the knot together in the romantic hills of Italy, they knew they wanted to have an additional stateside wedding event to include more friends and family who couldn't make the trip to Europe. 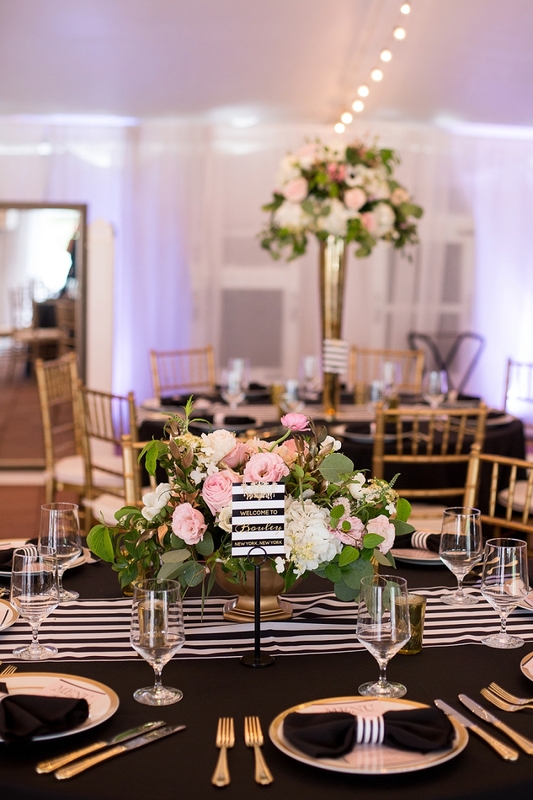 So they held a formal-inspired black and white celebration at the elegant Historic Mankin Mansion near Richmond, Virginia. 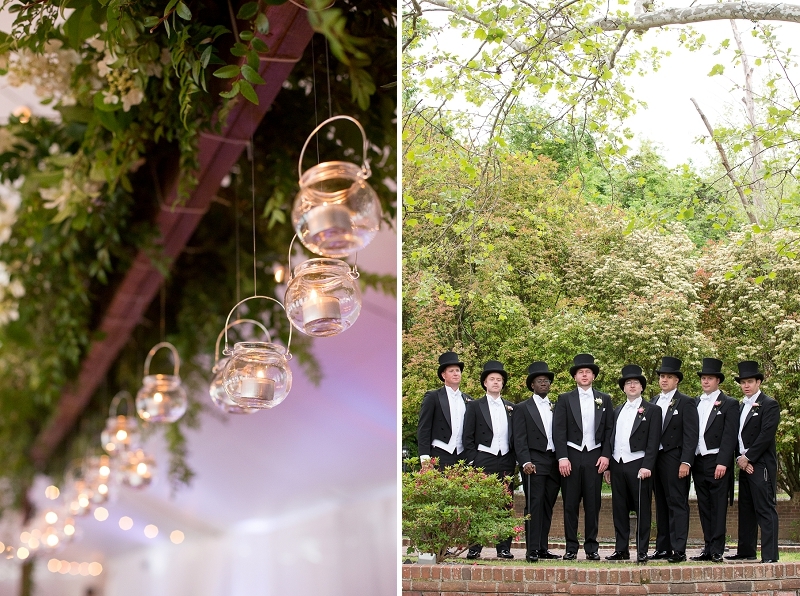 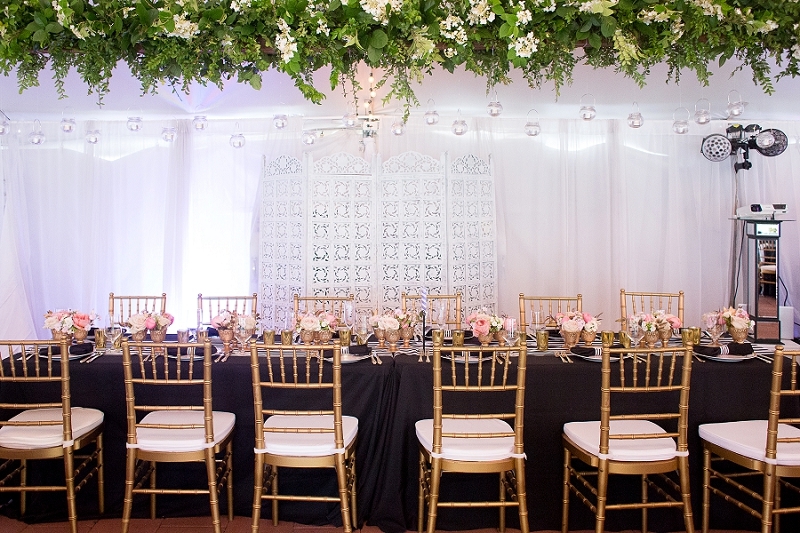 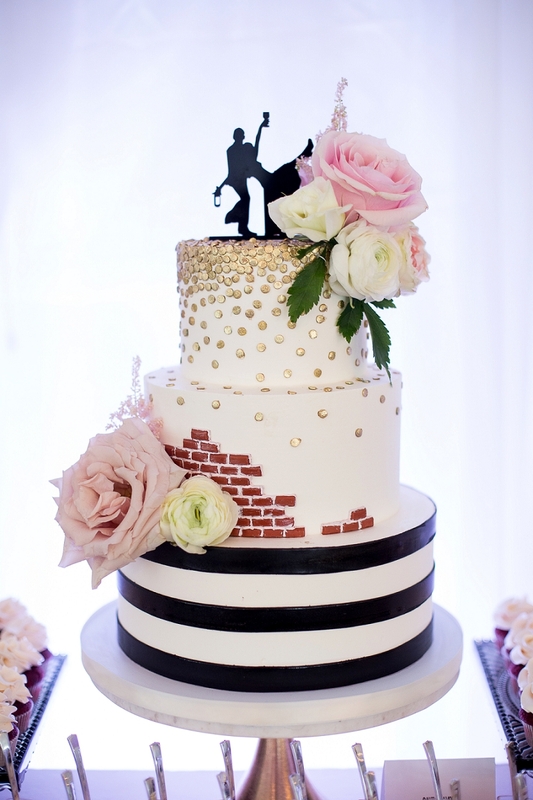 With top hats and coat tails, bourbon tastings, specialty cocktails, and even a live screening of the Kentucky Derby on the reception tent's ceiling, their wedding was a top shelf kind of day. 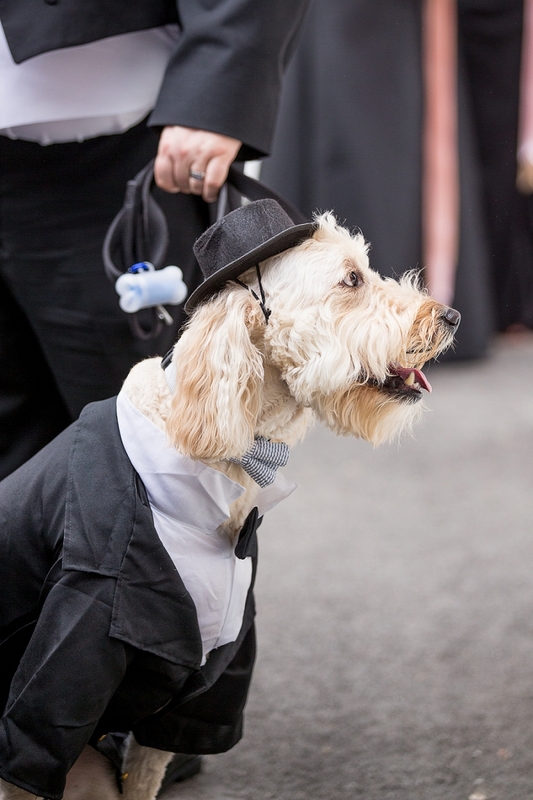 While we are biased towards all adorable animals, we think you’ll agree that their dapper dog Barksdale stole the show in his little custom tux and the tiniest top hat you ever did see! 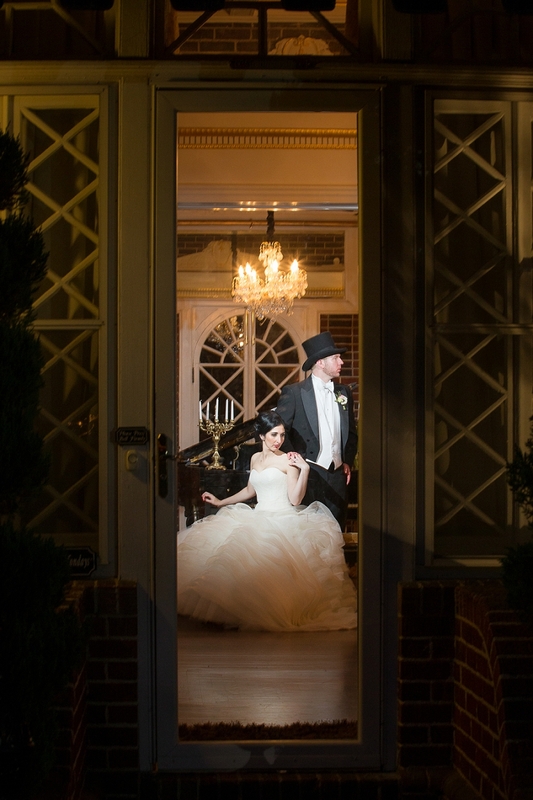 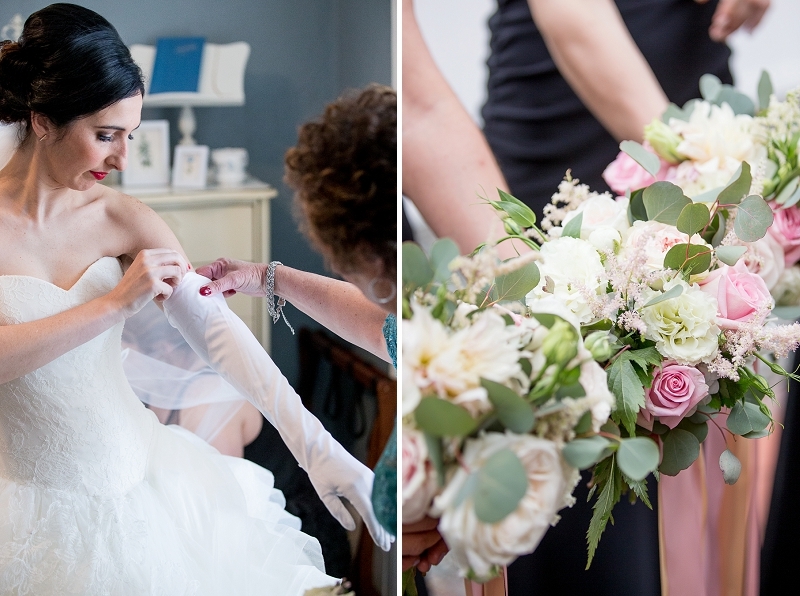 That was a hard feat to accomplish given the other details Ellen and Tim shared with their loved ones like the raw oyster bar, a speakeasy lounge area, and live music all throughout the day. 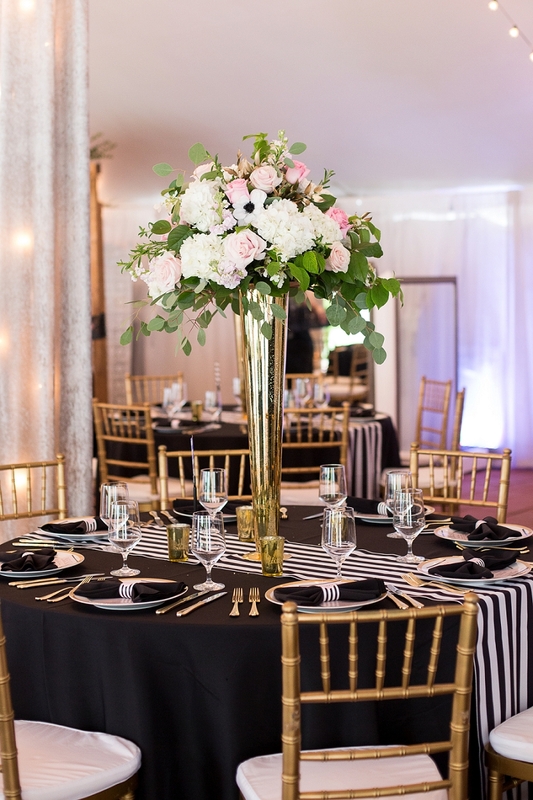 The wedding party gave off the classiest vibes with elegant long black gowns and the men dressed to the nines. 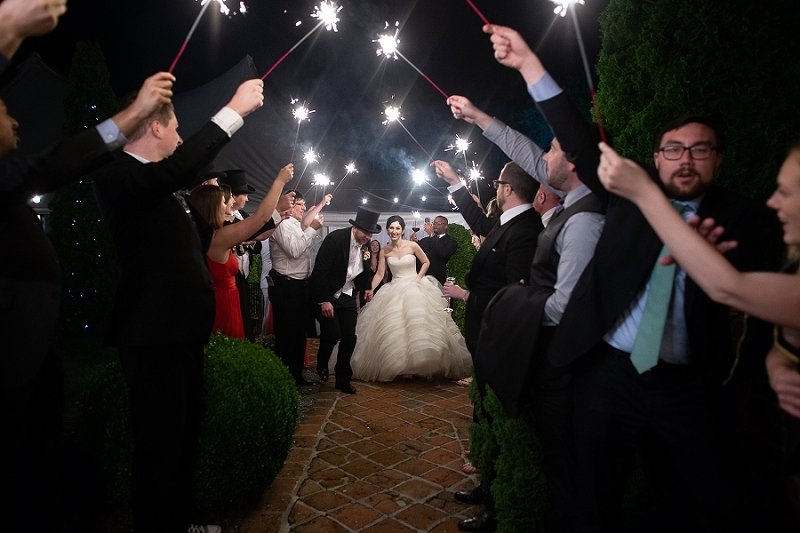 Late night eats and a sparkler send-off rounded out this fairy tale day that was beautifully captured by Don Mears Photography. 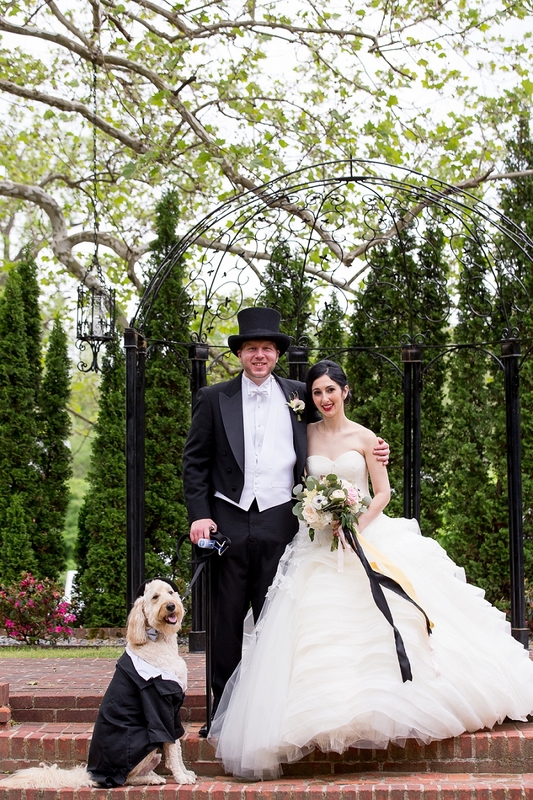 We'll place bets that this wedding won the roses with all of Ellen and Tim's guests in attendance!